Our clinic is designed and equipped to optimize therapy time and create a higher level of challenge for your child. We have created an inviting, fun and relaxed atmosphere; that will welcome and put your child at ease while they receive their therapy services by our talented, caring and effective staff. The PT gym is an area that has scooters, floor mats, weights, therapy balls, a rock wall, loft, ball pit and stairs. Physical therapists are able to benefit from using this equipment to help your child increase their strength and mobility. Especially as a child gets older or space in the home might be limited, the use of the gym can assist the therapist to increase how hard a child is working during certain activities. The Feeding room is a space that has a play kitchen, play food, feeding utensils, mirrors and several other tools used to assist the Speech therapist in teaching your child these much needed activities in daily life. The Speech & OT rooms are areas that are set up with tables, rugs, cozy reading corners, games and mirrors. 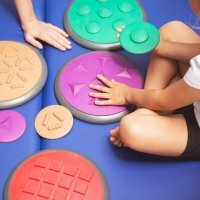 These rooms are well equipped to assist the Speech and Occupational therapists with activities to help improve fine motor or speech concerns. The Sensory room is a space where children can explore different sensations that challenge their sensory system. Our underwater themed room offers a bubble tube, cozy corner, fibre optic lights, soothing lights and sounds, as well as aromatherapy. This room is sure to stimulate your child’s senses while keeping them relaxed. Our dedicated occupational therapists help your child achieve independence in various aspects of their daily lives. We facilitate learning, play and self-care skills by improving their sensory, fine motor, behavioral and visual perception skills in a fun and caring environment. Our caring physical therapists work gently but effectively to acquire maximum functional mobility in children with disabilities or injuries. Our team utilizes one-on-one techniques to address gross motor deficits in walking, balance, strength, range of motion and safety in a nurturing and interactive environment. 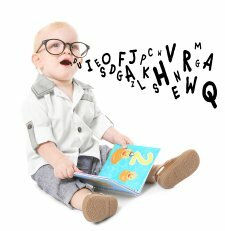 Our innovative speech therapists address the needs of children with language, articulation/phonological, voice, fluency, and/or swallowing disorders. All therapies require a referral from your physician, once the referral is received we can evaluate your child for the type and duration of therapy they need. One of our therapists will perform standardized testing, make clinical observations, and conduct a parent interview to identify your child’s current level of functioning in the areas of concern. My child has therapy at school, can he/she have therapy at DKT? Yes, children can qualify to have therapy performed in school as well as outpatient. Also, if your child did not qualify for service at school they may qualify for outpatient therapy. Our therapists will determine the length and duration of your child’s therapy upon evaluation as well as, every 3-6 months upon re-evaluation. Typically, a therapy session will last 30-45 minutes and can be 1, 2, or 3 times per week. The therapist will discuss this with you and ensure that all parties are agreeable and committed.